The increase in operating revenue was due to treatment growth and reimbursement of certain pharmaceuticals under the Medicare ESRD PPS transitional drug add-on payment adjustment. 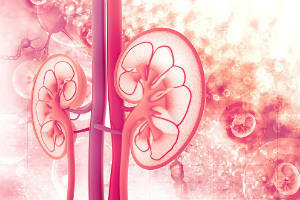 American Renal Associates reported dialysis treatments increased 5 percent in Q1 over the same time period last year. The proposal seeks to pass an amendment similar to the ballot issue in California this fall. The amendment would mandate revenue limits for Ohio dialysis clinics and “require rebates to private health insurance companies should revenues exceed those limits.” The Ohio Renal Association describes it as deceptive and unnecessary. American Renal Associates will pay United Healthcare $32 million. The payment will settle legal actions filed by United Healthcare in Massachusetts and Florida over American Renal Associates’ business practices. A study found better survival rates among patients aged 80 or over who were referred to a nephrologist before they began dialysis. “The 1-year mortality rate was 36.4% in referred patients who had emergency dialysis compared with 11.5% among patients with planned dialysis,” according to Renal & Urology News. Meta: Despite having the same training as their male counterparts, female physicians still earn less. Here are 5 stats about female physician compensation to know. Though they attended the same medical schools and underwent the same training as their male counterparts, female physicians still earn about 27 percent less than male physicians, according to a study from the medical networking site Doximity. Specialities with the largest wage gap included occupational medicine, hematology and urology, while pediatric cardiology and geriatrics had the smallest wage gap. Another study by Medscape showed that, on average, male specialist physicians make around $358,000 per year, while their female colleagues make $263,000. Here are more statistics from Medscape’s annual Female Physician Compensation Report. End stage renal disease is increasing by five percent per year in the United States, and in 2014 over 100,000 people began treatment for ESRD. As the amount of ESRD patients increase, so does the need for dialysis clinics to help treat them. Attracting these new ESRD patients to your dialysis clinic and retaining the ones you have has several benefits. Lower patient turnover has been associated with increased profitability, happier staff and lowered risk of patient treatment errors. But attracting and retaining patients is often easier said than done. Here are a few tips for attracting and retaining patients to your dialysis center. Address Conflicts: You know patient conflict and healthcare settings can go hand in hand, and while it may be tempting to shy away from addressing conflicts, don’t. Experts have found that poorly managed conflict negatively impacts patient outcomes. It can also come with a significant cost to organizations resulting in high employee turnover and absentee rates. Not only can conflict negatively impact how your clinic operates and whether your staff is happy, it can also affect your bottom line. If a patient feels he or she is not receiving the required care, is not being listened to or respected, or feels the clinic is not up to cleanliness standards, the patient may file a complaint. Oftentimes patient complaints result in widespread news coverage that could negatively impact the public’s perception of your clinic, not to mention any fines or other costs you may have to pay in relation to the complaint. Pay Attention to Your Center’s Appearance/Offer Amenities: Patients spend a significant amount of time at your facility and can quickly run out of ways to occupy themselves during a dialysis session. Provide patients with wifi and electrical outlets so they can get work done or chat with friends. You could also provide TVs, heated blankets, pillows or massage chairs. Patients can become wary about your facility if they notice poorly cleaned areas or accumulation of dust. In addition to how patients are treated by staff, the cleanliness of a facility is a common issue patients file complaints about. Empower Patients: Having a respectful, attentive staff and a clean clinic with amenities can positively influence patient experience, but there is another element to a great patient experience that is often overlooked—patient empowerment. Patient empowerment helps dialysis patients become more involved in their care. Research shows that patients who can perform portions of or the entire dialyzing process themselves have lower hospital admission and mortality rates. Empowered dialysis patients can also serve as mentors for fellow patients, teaching them how to self-dialyze. Taking steps to resolve conflict, having a clean facility with patients’ needs in mind, and empowering patients to become more active in their care can help improve patient experience, which helps attract and retain patients at your dialysis clinic. Dr. Francois Fontan was born in the foothills of the Pyrenees Mountains in southwestern France and spent most of his life in the Bordeaux region where he ultimately became full professor at CHU de Bordeaux and Chief of Cardiac Surgery at the Cardiologique de haut-Léveque in Bordeaux-Pressac. Dr. Fontan is best known for pioneering, along with Dr. Guillermo Kreutzer from Buenos Aires, Argentina, a surgical treatment for children born with a serious heart defect, notably one effective heart ventricle. With his procedure, Dr. Fontan was the first surgeon in the world to completely bypass the right heart by channeling venous blood from the inferior and superior vena cavas directly to the pulmonary arteries. Kreutzer offered modifications to the procedure. Now known as the Fontan Procedure or the Fontan/Kreutzer Procedure, this palliative surgery has extended the lives of many infants and toddlers. Prior to its development, only a third of children with this heart defect lived to 12 months of age and only 10% were still alive at 10 years. Since its pioneering development, most patients survive well into adulthood. Not only was Dr. Fontan a skilled surgeon, innovative scientist and respected administrator, but he was also a passionate European. He founded the European Association for Cardio-Thoracic Surgery (EACTS) which held its first meeting in Vienna in 1987. The mission of the Association is to advance education in the field of cardiac, thoracic and vascular interventions; and promote research into cardiovascular and thoracic physiology, pathology and therapy, with the aim to correlate and disseminate the results for the public benefit. The EACTS Annual Meeting is now the largest cardio-thoracic meeting in the world focusing on scientific developments and research in acquired cardiac, congenital heart, vascular and thoracic diseases. The association has helped raise the standards of surgery and research throughout Europe. Each year the society bestows a grant to a young surgeon for a year of study in Europe. This Francis Fontan Prize is a enduring tribute to a one of the giants in pediatric cardiac surgery. 1José Fragata, MD, PhD, “In Memoriam Francis Fontan, MD (1929-2018),” World J of Ped and Congenital Heart Surgery 2018; 9(2), 129.